The government is awarding 25 million pounds ($33 million) this week to as many as six projects that will research and test autonomous vehicles on highways and on trials of remote-control parking. 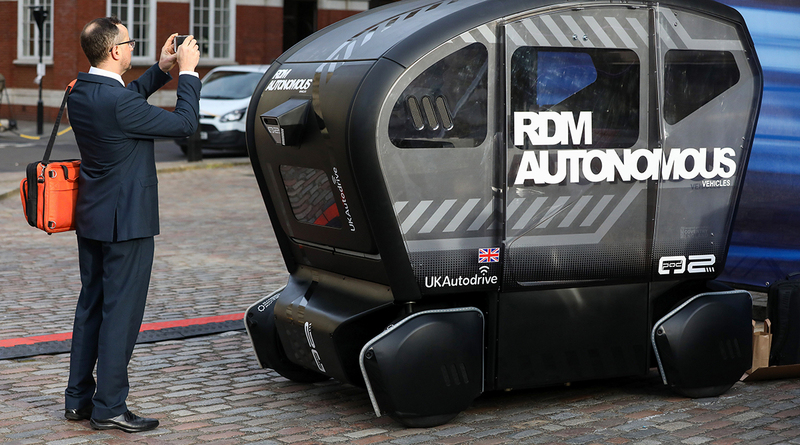 It’s the second competition in a program that Richard Harrington, the United Kingdom’s automotive minister, predicts will lead to driverless cars in production within the next decade. Britain’s post-Brexit industrial strategy has a heavy focus on technology, with artificial intelligence and autonomous vehicles being two areas at the heart of it. The nation is going up against the United States, which is further advanced in both technologies. Some policymakers expect that leaving the European Union will allow it to offer subsidies and tax breaks that currently are restricted under common market rules. “It’s a very exciting thing; we want to provide the right environment for people to come to this country and invest.” Harrington said in an interview in London. In the United States, technology giants such as Alphabet Inc. and Uber Technologies Inc. have autonomous-car projects up and running in several states. General Motors Co., with a $2.25 billion investment from Softbank’s Vision Fund, intends to be the first automaker to bring an autonomous taxi service to public roads in 2019. China also is experimenting with the technology, with government supporting industry on a number of projects. The United Kingdom forecasts the global driverless vehicle market will be worth 907 billion pounds ($1.2 trillion) by 2035, and it wants a piece of the pie. Last year, it set aside 250 million pounds to be allocated before 2020 for companies to analyze self-driving vehicles in environments from city streets to highways and to fund prototype demonstration projects. The freedom to set its own regulatory environment separately from the EU also may help, according to Nigel Parker, a partner at Allen & Overy.